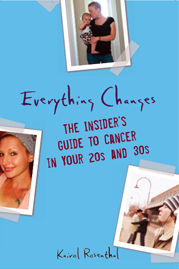 Everything Changes – The Guide to Young Adult Cancer » Do You Know About Your Doc’s Private Life? Well put, Kairol. The artificial and useless barriers between a doctor and patient are hang overs from when doctors were a priestly class decked out in pseudo-scientific vestments of their own, the white lab coat. A human doctor is one we can feel comfortable talking to and admitting even the embarrassing things to so we can work together to find real solutions. Many studies have shown that patients routinely lie or conceal important information from doctors. Perhaps if doctors were more forthright and open, less impersonal, they would seem less judgmental and more open to helping patients solve the less than easy problems. No one wants to become a doctor’s therapist but more normal interactions rather than an aura of artificial (& let’s face it, controlling) mystery would set the stage for honest, trusting communication. At one of my first appointments with my doctor he told me that the reason he went into oncology/hematology instead of general internal medicine was that cancer brought out more of the emotional and personal factors of medicine and he felt more fulfilled having those human issues be part of his practice. He then went on to tell me that on more than one occasion he has had to go into the restroom to compose himself after an appointment because of the emotions involved in telling someone about their diagnosis/treatment. We’ve also had other conversations about quality of life issues and he’s pondered out loud about what he would want if he was diagnosed with cancer. He’s a great doctor with the medical stuff too, but it’s really these personal conversations that stick with me and make me feel comfortable with him, well taken care of, and understood. And yet, he never crosses the boundaries of professionalism. I think sometimes doctors have this idea that to be professional you have to be somehow non-human and leave all your non-doctorly thoughts outside the office. The medical profession as a whole would take a huge leap forward if it could get rid of that idea, and if more docs could be like mine. My psychiatrist once told me that she smoked 4 packs a day and quit, she was always on my back because of my being overweight and really hated her for it, but after she told me she quit smoking I respected her more and was less afraid and she became more human to me. 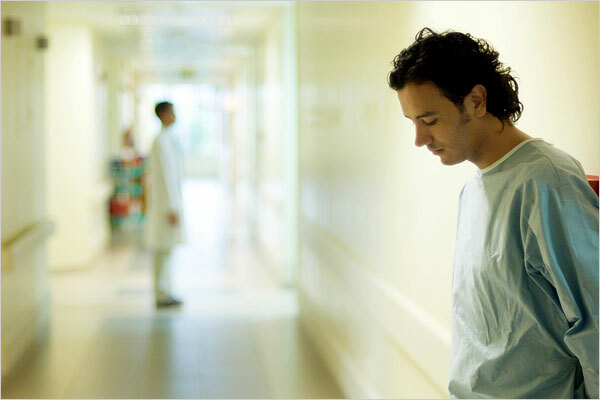 One reason, and most likely the primary, doctors do not get too personal is that they simply do not have the time. As far as I can tell most doctors have to rush through appointment after appointment in order to see everyone and also make a living. No wonder they order up all those tests. No wonder those that can do surgery are happiest in the OR. Will the reform change this? I really hope that in those 1000 pages, someone managed to put in provisions that will change this stupidity. My primary care doctor is, admittedly, not the type I describe. Maybe it is because I was one of her early patients and she has seen me through plenty of diseases of my own and plenty of problems in my family’s health and personal life. While I am a guy, she is good at helping with both the doc’s and the female/wife/mother perspective on my health and various problems. Best of all she is a terrific doctor. Another country lost her due to their own stupidities. Luckily we get plenty of docs from outside the USA who we did not have to educate and who have a different cultural slant on how to be a good doctor. Well, that’s my opinion, for better or worse. George, I could not agree more. My doc too spends tons of time with me and I know this is a complete rarity. I need to ask him how he manages to do it. Also, I read that one quarter of physicians in the U.S. are foreigners. Part of the reason is that pay here is so much more than what they would make in their own countries, which in turn causes a brain drain in their home countries. But they are also filling the jobs that Americans don’t want. Just as many immigrants wash dishes and pick fruit (jobs that most Americans don’t want because industry pays nothing for it) immigrants doctors are largely treating rural populations and other underserved medical communities – again, jobs that most Americans do not want. Working as a banker or broker making millions in the financial sector has now left in the dust the once prestigious and well compensated job of being a doctor. I think that doctors, teachers, structural engineers, and firefighters should be the highest paying jobs in America. Corporate bankers need to pay more taxes! The longer I work with a doc, the more I end up finding out about him/her. When I first chose my primary care doc, I knew very little about him beyond his name, practice and credentials. Then one day I ran into him at a local mall – wheeling a stroller, dressed all in black (instead of the white lab coat.) I know that my home onc has a teenaged son – and he probably doesn’t know it, but a lifetime ago I interviewed his wife for the local alternative newspaper because she hosted a woman-oriented radio show. My neurologist (and his wife) have treated me like one of their daughters for several years – I know about their kids, their hobbies. My neuro is moving towards retirement, and that transition (which is a little scary for me) has been easier because of our deeper-than-the-office relationship. I live in a 250,000 pop. metro area, but it’s really a small town in many respects. Patient and doctors’ lives intersect now and then, and that’s not a bad thing. It’s been a little different with my NYC docs. I know that Dr. Sparkly Eyes the colorectal surgeon just turned 43, has little kids, lives near the hospital and takes his kids up to Central Park on the weekends. But except for a chance meeting on the corner of York and 68th, we’ve never crossed paths outside of his office or the hospital. Our appointments are caring and friendly. He’s personable but not intimately personal. He and Dr. Birkenstocks the urologist do spend the most time with me. I know that Dr. Birkenstocks loves chocolate chip cookies – without nuts, thank you – and has a wickedly dry sense of humor, but beyond that, I know very little about him. Dr. Personality, the med oncologist, was profiled by Real Simple magazine – until that article, I knew only a few things about her personal life. I knew she was a twin. Finding out that she has three grown daughters, paints and considers her indulgences whipped cream and fois gras did make her seem a little more human. But in our first year or so of appointments, she was quite the intimidating personality – and I don’t intimidate easily. Seeing those little personal details helped me disarm her (in my mind.) Now each appointment is still on a very professional level, but she’s become a bit more relaxed during our interactions – maybe because I’ve become more relaxed around her. I’m not intimidated any more. Great question Kairol. I agree with you and others about that having a doctor-patient relationship beyond the white-coat- disease symptoms definitely improves patient well-being. In fact my rheumatologist has a website which does describe a little about him as a person – like he has two children, his hobbies. And, that he believes in treating the “whole person” not symptoms. I think he himself wants to be seen as a human not a white coat. He also does seem to appreciate my occasional mentioning of bits of my personal info (again not too much)as it helps him to understand me. I am definitely a better patient when I have a doctor like him. I suspect that a lot of doctors don’t want to go into personal stuff because they fear that that will encourage patients to ramble on about their personal problems. I actually think that when patients feel that they are treated as people it will encourage them to reciprocate it – respect the doctors’ time, etc. A win-win situation for both. When I give talks about young adult cancer to older audiences, I tell them that one thing they can learn from us is how to be more aggressive patients. Most of us younger patients were not raised with the ethos that our doctors are untouchable and on a high up platform that we cannot reach or challenge. That said, I always want my docs making decisions that are in my best long term interest, and I can see how a doctor being too close or personal to a patient could clout that judgment sometimes. I like having a personable relationship to some of my docs, but I do see the benefit in having professional boundaries, and I do not fault my docs who are more matter of fact. One of the things I am dreading the most about my upcoming move away from Boston is that I will have to find new docs. I have had my GP since she finished her residency at Brigham and Women’s Hospital in Boston, and she is the bomb. Thanks to her, my cancer was picked up at an early stage, and I owe her big time for that. We get along quite well and is always available whenever I need anything. Likewise, I have a great relationship with my oncologist. We are both around the same age and we both have young children, so at every appointment we compare notes on raising kids. He has always had the “science itch”, so we always talk about lab research. He’s a fantastic guy, and always makes me feel comfortable when I stop by.